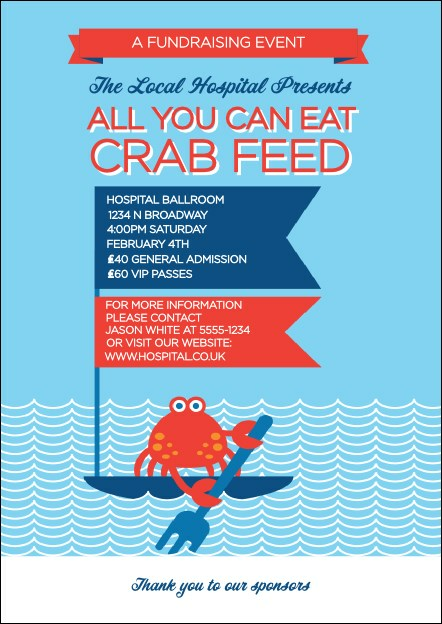 Net all lovers of the nautical life when you mail the Crab Feed Postcard! A very alert crab rows his way through the breakers in a banner-bearing boat designed to highlight your event information. The striking template gives you 16 open lines to convey all the details of your get together in radiant red, white and blue. Create interest in all your events when you mail the right postcard from UK Ticket Printing.